For how long can I keep PET milk on my pantry shelf? Unopened and stored in a cool, dry area, PET Evaporated Milk has a shelf life of 12 months. 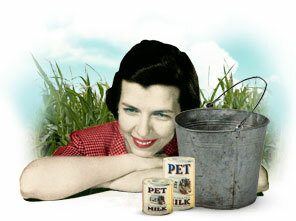 PET Fat Free Evaporated Milk has a shelf life of 9 months. However, we always recommend referencing the Best If Used By date. How long can I keep PET Milk after opening the can? After opening, you can keep either evaporated or skimmed PET Milk for 2 - 3 days when stored in the refrigerator. For best flavor and quality, we suggest placing unused portions in an airtight container when storing in the refrigerator. How old is my can of PET Milk? We place a Best If Used By date on the bottom of every can. If you cannot find a date, the product is old and should be discarded. What are the differences between PET Evaporated Milk and PET Fat Free Evaporated Milk? PET Evaporated Milk is a homogenized concentrate made from fresh, whole cow’s milk with approximately half of the natural water removed, then fortified with Vitamin D. It consists of about 6.5% milk fat. PET Fat Free Evaporated Milk is a homogenized concentrate made from fresh whole milk with approximately half the water and 99.5% of the butterfat removed, then fortified with Vitamins A and D.
Yes, PET Milk is pasteurized. Can I use PET Milk as a baby formula? We do not recommend the use of our evaporated milk as baby formula. Please consult with your pediatrician. Can I feed PET Milk to animals? We would recommend that you consult with your veterinarian. How do I reconstitute PET Evaporated Milk? Use equal portions of milk and water i.e. ½ cup evaporated milk and ½ cup water = 1 cup of milk. How many cups does a can of PET Milk yield? Can I use evaporated milk as a substitute for cream or half and half products? Evaporated milk is a convenient substitute for milk. For equal richness and creaminess to milk, for each cup of milk, use ½ cup evaporated milk and ½ cup water. For more richness and creaminess to recipes, use equal amount of evaporated milk to milk called for in the recipe. Can I substitute evaporated milk for heavy cream and heavy whipping cream? Evaporated milk works well for cream sauces, but when whipped it may not have the same stiffness or texture as heavy cream. Where can I find recipes using PET Milk? Click here to browse classic and new recipes. You're likely to find some favorites from our collection. Where can I buy PET Milk? If you have difficulty locating your favorite variety of PET Milk, find out where to buy the product here. If you would like to see the product available at a particular grocer in your area, we encourage you to speak with your local store managers and request this item be given shelf space. 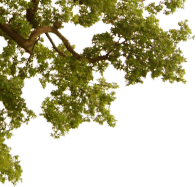 Additionally, some of our products are available through the Eagle Family Foods Group LLC. Do PET Milk products contain gluten? PET Milk products do not contain ingredients derived from gluten; however, these products do not meet our established criteria for a "gluten-free" claim for one or more reasons. It is important to note that the U.S. Food and Drug Administration has not yet defined the term “gluten-free” or established rules for making a "gluten-free" claim on a food product; however, "gluten-free" claims are permitted, and each manufacturer is responsible for determining whether or not its products are "gluten-free". We have established the following stringent criteria based on the FDA's proposed rules for making "gluten-free" claims. Ingredient Screening - The ingredient cannot contain gluten sources, such as wheat, rye, barley or their derivatives or hybrids. We also review for the presence of oats. Manufacturing Procedures - In addition, facilities that manufacture verified "gluten-free" products must have a comprehensive gluten management program. All equipment used in the manufacture of products containing any gluten or oat source must be cleaned thoroughly prior to producing a product that is "gluten-free". These procedures must be validated and inspected after each clean-up. How can I find PET coupons? We may partner with local retailers and grocery stores to provide coupons either in-store, through their advertising circulars, or on their websites.